Disc 1 10 Begin the Beguine 3.08 mins. Frank Sinatra : Jazz & Blues CD (2003)Title: Jazz & Blues Artist: Frank Sinatra Genre: Jazz|Vocal Duration: 108 mins Format: CD / Album Type: CD No. of Discs: 1 disc(s) Studio / Label: Jazz & Blues UK Release Date: 06 Oct 2003. Frank Sinatra : Young Blues Eyes CD (2004)Title: Young Blues Eyes Artist: Frank Sinatra Genre: Jazz|Vocal Duration: 75 mins Format: CD / Album Type: CD No. of Discs: 1 disc(s) Studio / Label: BMG UK Release Date: 09 Feb 2004. 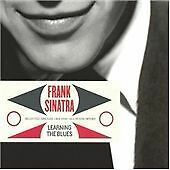 Frank Sinatra - Learnin' the Blues 3:00. Frank Sinatra - White Christmas 2:35. Frank Sinatra - Christmas Waltz 2:58. Frank Sinatra - You, My Love 2:55. Frank Sinatra - I'm Gonne Live Till I Die 1:53. Frank Sinatra - Why Should I Cry Over You 2:40. Moonlight Serenade. Moonlight Mood. The Moon Was Yellow (And The Night Was Young). Price : £7.99. Record Label. 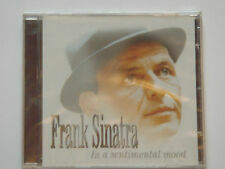 EAN: 8712155043260. frank sinatra - jazz & blues (CD). Das Bild wie auch einzelne beschriebene Details können vom Produkt abweichen. Wir verwenden standartbilder der Musikindustrie und keine individuellen Bilder vom einzelnen Produkt. 3 - GLENN MILLER - OVER THE RAINBOW. 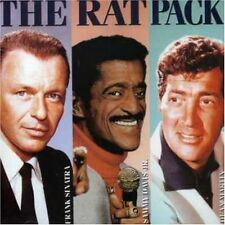 4 - FRANK SINATRA - ALL OR NOTHING AT ALL. JAZZ BLUES & SOUL 1939-1940/4. Tutti i nostri oggetti CD - CDS - MC vengono. Possiedo 5000 titoli tra CD - Mc - DvD - Lp 33/45 Giri - CdS - Vhs - Gadget. Softly As I Leave You. Love Isn't Just For The Young. Then Suddenly Love. The Look Of Love. Price : £7.99. I Can't Believe I'm Losing You. "DIRECT FROM LAS VEGAS ". Dean Martin & Frank Sinatra (Live). Frank Sinatra. This Love Of Mine (Sinatra Parker Sanicola) 3:43. Dean Martin. The Trolley Song (Martin - Blane) 2:13. The Sweetheart Of Sigma Chi (Martin) 2:45. Sinatra, Frank Learning the Blues. Voir la photo pour les titres. Boitier : NM quasi neuf, BOITIER CD : M neuf, Disque M neuf. Colissimo obligatoire pour la France, recommandé international pour le reste du monde. CDS EN TRES BON ETAT PROCHE DU NEUF ---LECTURE VERIFIée ET PARFAITE. ENGLISH SPOKEN. FRANK SINATRA. SONGS FOR YOU. DON’T CRY JOE (LET HER GO, LET HER GO, LET HER GO). I’VE GOT THE WORLD ON A STRING. WRAP YOUR TROUBLES IN DREAMS. THREE COINS IN THE FOUNTAIN. IT NEVER ENTERED MY MIND. NICE WORK IF YOU CAN GET IT. I ONLY HAVE EYES FOR YOU. ---AVEC LES TITRES SUIVANTS. -MY BLUE HEAVEN. ---CD EN TRES BON ETAT PROCHE DU NEUF ---LECTURE DU CD VERIFIée ET PARFAITE. ENGLISH SPOKEN. 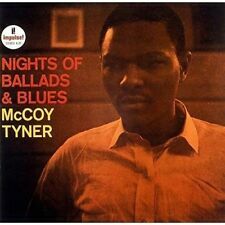 -MY FUNNY VALENTINE. -I GET A KICK OUT OF YOU. 24 Musikstücke - siehe Fotos. Neu und ovp. 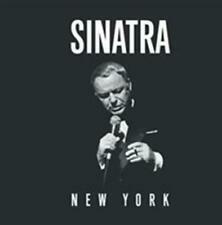 CD - Here`s Frank Sinatra. Format: CD. You're So Right (For What's Wrong in My Life). 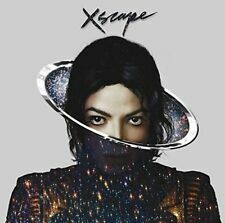 Release Date: 26/03/2010. Classic Artists. Musik-CD (neu und eingeschweißt). EUR 9,75 als Sofortkaufpreis (Preisvorschläge sind möglich). Love & Marriage, 2. South of the Border, 3. Love Is the Tender Trap, 4. Learning the Blues, 5. From the Bottom to the Top, 6. Frank SINATRA Ol' Blue Eyes Is Back - Gatefold Card Sleeve CD Universal 0602527560618 EU M/M NEW NOT SEALED - NEUF NON SCELLE -. "Noah" (Raposo) ��� 4:22. "There Used to Be a Ballpark" (Raposo) – 3:34. "Dream Away" (John Williams, Paul Williams) – 4:22. FRANK SINATRA. The Song Is You 13. I Couldn't Sleep a Wink Last Night. Factory Sealed CD. Blue Songs. These Foolish Things. You'll Never Walk Alone. I Fall in Love Too Easily. FRANK SINATRA. BLUE SKIES. Good quality used CD. This is a used CD in excellent condition, with all original artwork and inserts. 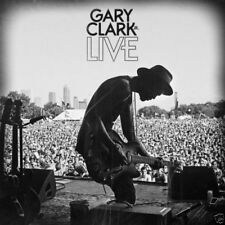 75 CLASSIC SONGS FROM. SONGS FOR YOU. OL’BLUE EYES. Don’t Cry Joe (Let Her Go, Let Her Go, Let Her Go). I Get A Kick Out Of You. 3 CD BOX SET. Wrap Your Troubles In Dreams. Factory Sealed CD. Super-Ware zum Super-Preis. Frank Sinatra. Neuware ; Zustand: TIP-TOP 1A. Zusatzoption: Sie wünschen eine ggf. Wir erledigen das gerne für Sie (es fallen ggf. zusätzliche Kosten gem. 40 starke Hits auf 2. ). FRANK SINATRA. BLUE SKIES CD. OL BLUE EYE IS BACK. FRANK SINATRA. Hier folgende CD / Here following CD There Used to Be a Ballpark. Dream Away. Send in the Clowns. Frank Sinatra – Ol Blue Eyes is Back – 2 CD Collection in as new condition. VERY GOOD CONDITION. Auctiva's FREE Counter. Frank Sinatra - In the Blue of Evening. Title:Frank Sinatra - In the Blue of Evening. Artist:Frank Sinatra. Your item will be previously owned but still in great condition. The disc will play perfectly without interruption and the case, inlay notes and sleeve may show limited signs of wear. Very Good Condition. Fabulous opportunity to acquire Frank Sinatra on vinyl. Year of Release - 1973. A2 You're So Right (For What's Wrong in My Life) 4:03. Record Label - Reprise Records. B4 Noah 4:22. Frank Sinatra - Ol' Blue Eyes Is Back - VINYL - (1973) - Very Good Condition. Year of Release - 1973. Sold in aid of RSPCA Blackpool and North Lancashire, raising funds for the care and re-homing of abused and neglected animals. Other CDs listed at present. Frank Sinatra - Blue Eyes Blue Skies. Title:Frank Sinatra - Blue Eyes Blue Skies. Artist:Frank Sinatra. All of our paper waste is recycled within the UK and turned into corrugated cardboard. We all like the idea of saving a bit of cash, so when we found out how many good quality used products are out there - we just had to let you know! 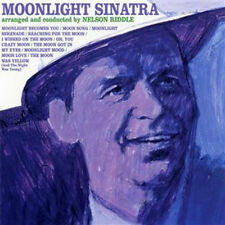 FRANK SINATRA - OLD BLUE EYES (EU CD Album). Release date not stated. Record label unknown (Cat No: ETOCD0020). I'll Be Seeing You. It Started All Over Again. They Say It's Wonderful. All The Things You Are.